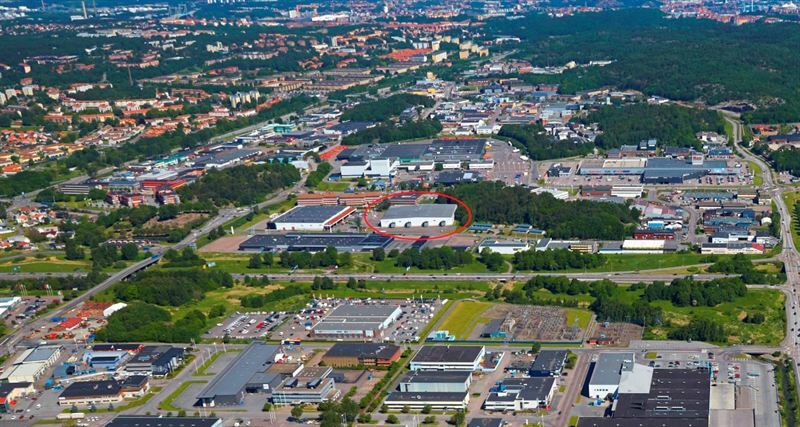 Kungsleden AB (publ) acquires the logistics property Högsbo 27:9 outside Gothenburg and thereby continues to concentrate its property portfolio in identified growth regions. The total sales price is approx 130 MSEK. By acquiring Högsbo 27:9 Kungsleden adds a modern logistics property to its portfolio in an area where the company already owns several properties. Högsbo is a logistics and warehouse area in Västra Frölunda outside Gothenburg, strategically located close to the E6 and Gothenburg harbor. The property was build 2008 and has a high technical standard. The leasable area amounts to 9,600 sqm. The entire property is rented by Dentsply, a listed American company producing and distributing dental and health care products. Closing will take place during the first quarter 2015. “The acquisition of Högsbo 27:9 strengthens our position in a strategic area where Kungsleden already has a significant presence, allowing us to further improve our management process as well as offer our customers better service and property solutions. Gathering high quality properties in growth areas where we already have a strong position is an important part of our strategy, which is why we are especially happy to complete this acquisition”, says Ylva Sarby Westman, Head of Transactions at Kungsleden. The information was provided for public release on 9 February 2015 at 4:15 p.m.